What does the PieSync - KWCommand partnership include? For every additional connection, you'll automatically receive a 50% discount. Learn more about the PieSync pricing here. Enter your settings via the KWCommand homepage. PieSync is embed as one of the Productivity apps, ready to be used. 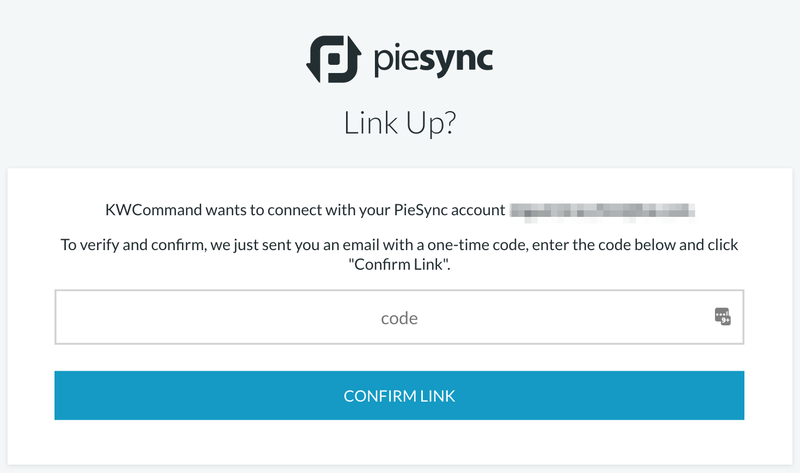 After clicking "Connect Account", you'll receive a one-time code via email, allowing you to log in directly to PieSync and start setting up your first connection. 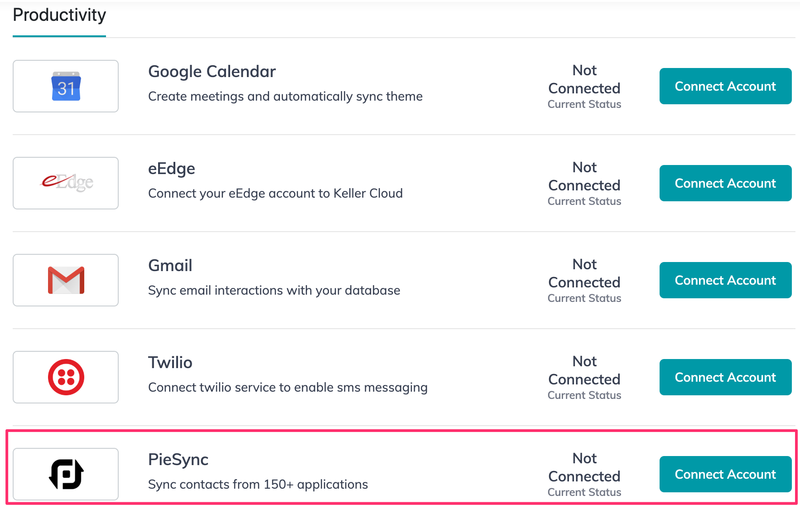 Does PieSync have an API?